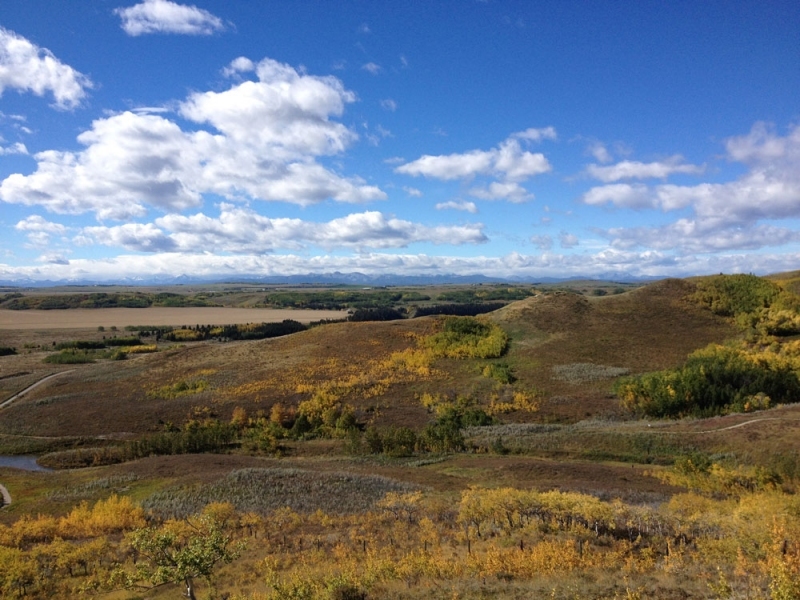 Fall colours at Glenbow Ranch Provincial Park. Photograph by Karin Olafson. You’re only 15 kilometres east of Cochrane and 30 kilometres west of Airdrie, but hiking through Big Hill Springs Provincial Park can feel like you’re way, way further from these towns. The loop through this park is short and sweet – it’s barely over 2 kilometres in distance, so you can do it all leisurely in under one hour. You’ll see running streams, waterfalls and plenty of tufa rock formations while walking this loop. The ambience here is serene and the views are very different from those you get in Calgary parks. For the perfect spot to have that lunch you bought along with you, find the picnic tables at the entrance of the trail loop. After spending some time in the provincial parks, stop at Calaway Park on your way to Springbank or back into the city. There are 32 rides here. Out of all of them, be sure to ride the bright green roller coaster you always see from the highway as you drive to the mountains. (If it’s hot, it’s worth waiting in line for the bumper boats or the new log ride, Timber Falls.) There are also 23 carnival games and several places to buy traditional fair treats like snow cones. The park is open every day from 10 a.m. to 7 p.m. until September 5. Visiting two provincial parks might be enough to convince you to bring nature back home with you. If so, stop at Springbank’s Bow Point Nursery. This tree farm sells plants, trees and vines that are native to Alberta, like Balsam Poplar, Common Juniper and Hoary Willow, and provides careful details on how to properly care for your plants. The nursery also provides landscape consultation, custom contract growing and more. The annual Calgary Highland Games actually takes place in Springbank at the Springbank Park For All Seasons. It doesn’t matter if you have no connection to Scotland at all – you’ll still enjoy this cultural festival. There is everything from highland dancing to heavy lifting competitions to piping bands. And of course, there is also plenty of tartan. This year marks the 44th anniversary of this annual, small-town fair at the Springbank Park For All Seasons. The day includes agricultural displays and demonstrations, a market, horticulture awards, farm animal displays and fun activities for the kids, like a climbing wall and spring-free trampoline. This seasonal farmers’ market is located just outside of Calgary city limits at the Lions Club of Bearspaw. Every Sunday until October 2, you can shop at this seasonal market and get great mountain views at the same time. 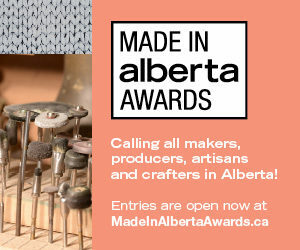 Know that there are close to 100 vendors selling fresh products here and 80 per cent of the products sold here are made, baked or grown in Alberta. Since the weather is still nice, you might want to try exploring these areas on two wheels instead of four. Bearspaw, Springbank and Glenbow are all very bikeable from Calgary, if you’re up for a bit of a longer ride. To explore the country roads in Springbank, you can ride through Edworthy Park, past Sarcee Trail, along the bike path and to Old Banff Coach Road. The shoulders are wide and there generally isn’t too much traffic, making this route popular for cyclists. To ride to Glenbow and Bearspaw, take the paths through Tuscany or Rocky Ridge until Highway 1A crosses 12 Mile Coulee Road N.W. Then you can ride the shoulder on Highway 1A. This ride is a little busier with traffic, but worth it for the views – and it’s easy to get onto the Glenbow Ranch Provincial Park pathways from here too. And, if you turn onto Bearspaw Road, you’ll be able to explore some quieter country roads by bike. Artists and art lovers will want to have this centre on their radar. The Kiyooka Ohe Arts Centre (KOAC) is a non-profit public arts centre in Springbank that, in a nutshell, is intended to celebrate contemporary art. It is the brainchild of two prominent Calgary artists, Harry Kiyooka and Katie Ohe. When complete, the KOAC will house a contemporary art collection, the area’s only sculpture park, an art and research library and be a place for artists to study and complete artistic residencies. The final phase of the project is currently in the works – it’s the fundraising and construction of the pavilion, the gallery portion of the art centre. Listen out for upcoming KOAC fundraising events and for details on the centre’s progress.